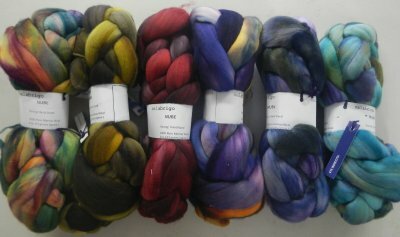 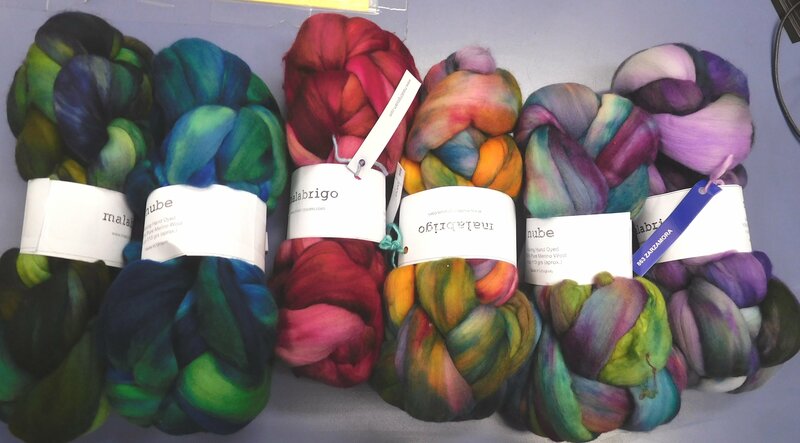 This very fine merino is beautifully hand-painted and available now in 6 different colorways (others backordered and expected in the next 4-6 weeks). 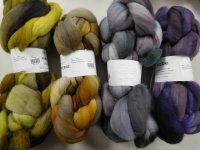 Each hank has 4 oz....plenty to spin up fine for a lovely shawl or infinity scarf or to spin heavier for a lovely pair of wrist warmers or a hat! Or if you're a felter.....great colors to felt soft wearables and nuno garments. 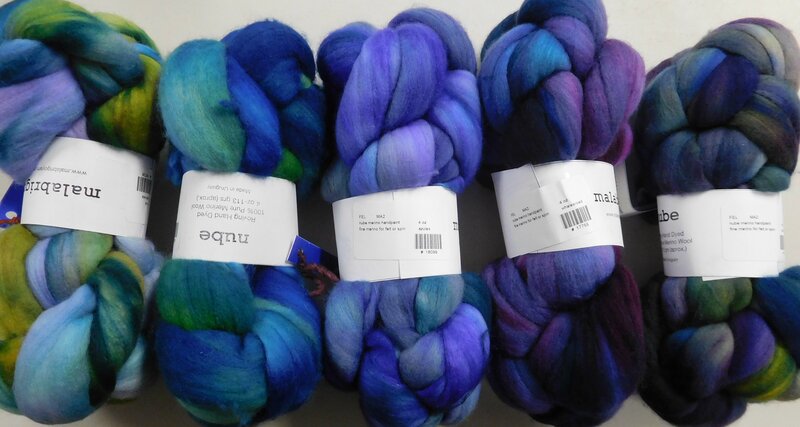 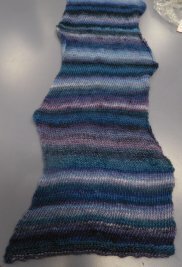 The scarf shown below was spun by BJ - she spun a singles of Nube so the colors remain very clear and distinct. 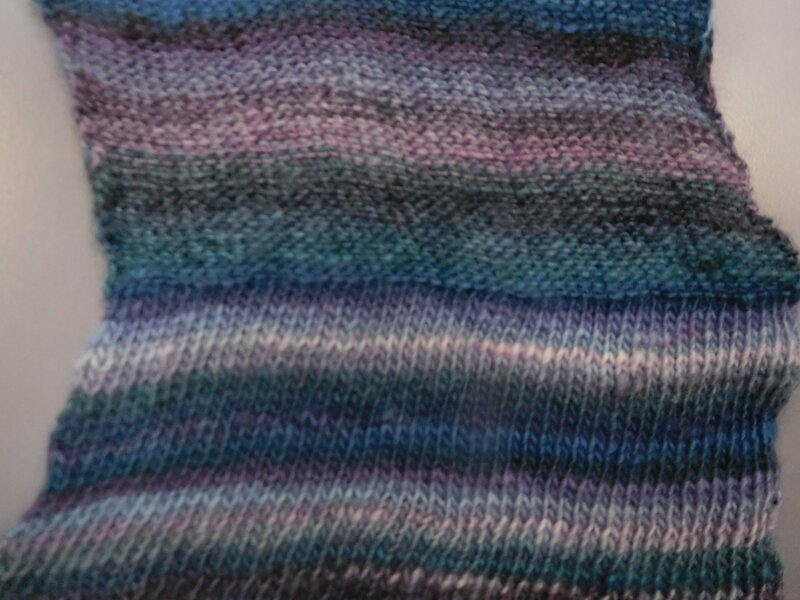 And then knit the scarf alternating stockinette and reverse stockinette stitch to mimic the biasing you'd also get if you alternated spinning S and Z yarns! 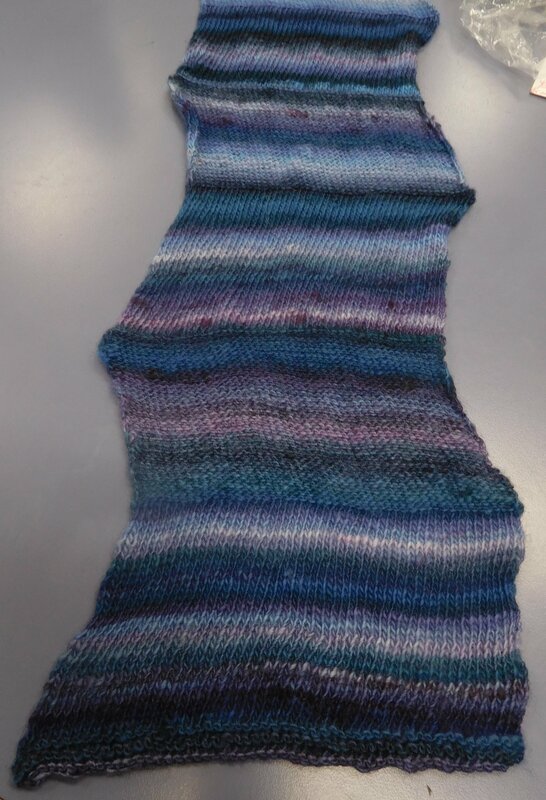 Since the yarn biases, by alternating directions (stockinette and reverse stockinette as you can see in the close up photo) she achieved a zig zag edging to the overall scarf.